Another "rethinking" of something simple, the unique rust-resistant stainless steel springs were designed with variable pitch geometry. 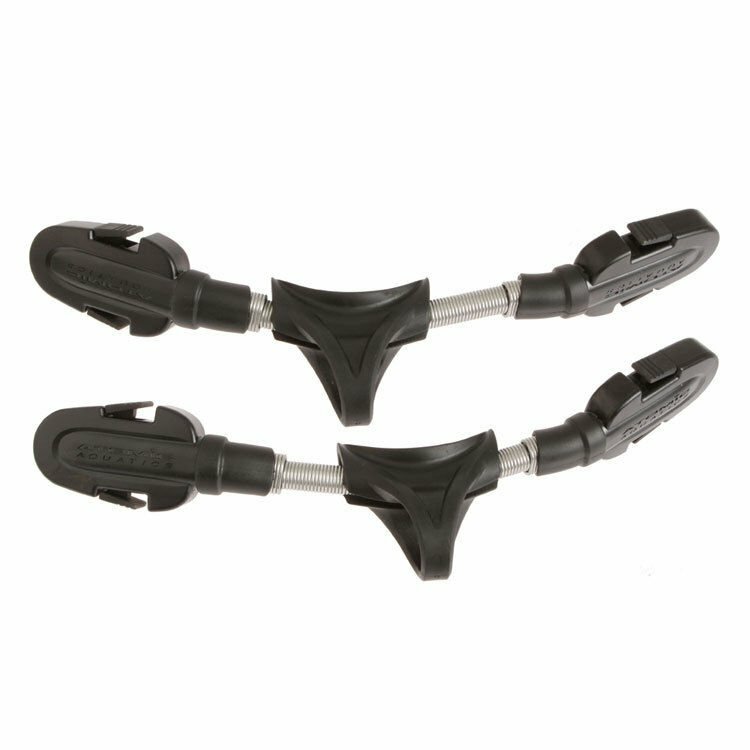 Divers get a more comfortable fit and easy one-hand removal, yet the springs are resistant to deformation if overstretched. Included on the "Smoke on the Water" Splitfin and available for all Atomic SplitFins or as a universal retrofit for other brands. The Universal Spring Straps share the same features found on Atomic Springs, but are made to fit almost any other brand of open heel fins. Available in medium and long.